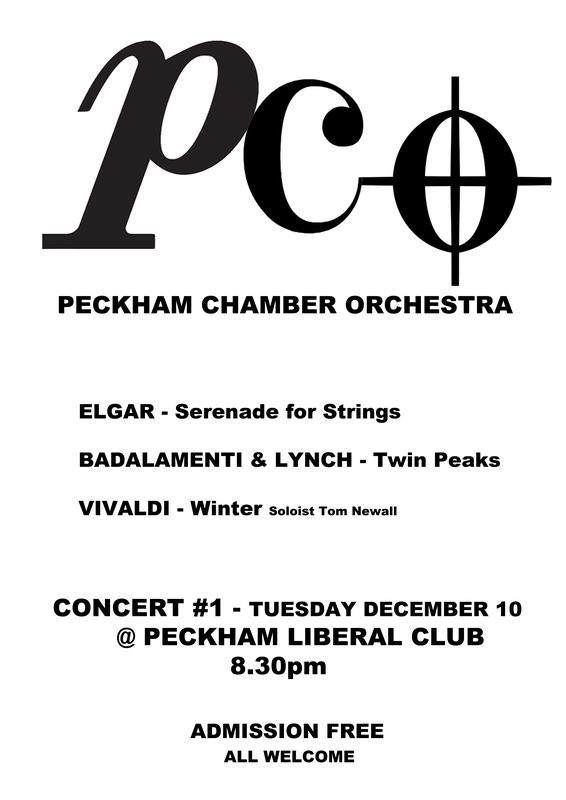 Peckham Chamber Orchestra (PCO) is a new orchestra meeting once a week in Peckham to rehearse a program culminating in a performance (concert). 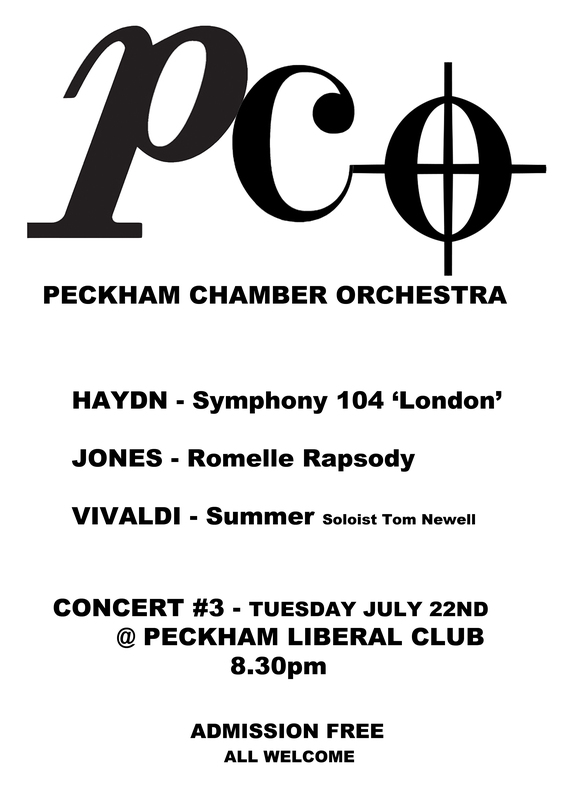 The aim of PCO is to unite people of all ages, backgrounds and musical abilities in an enjoyable, productive and progressive orchestral community. The pleasure of gathering together to make music is more important than an immaculate result. 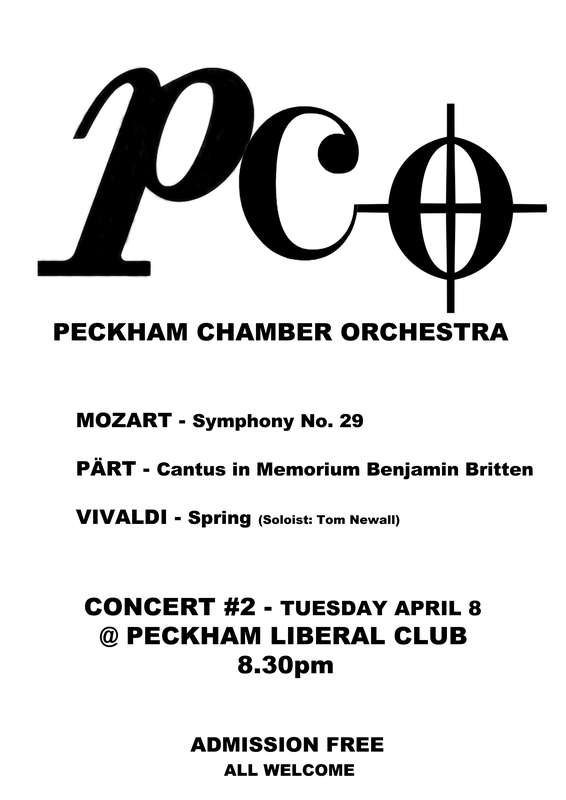 My experience of playing viola in many ensembles in London, Oxford and Doncaster has highlighted the absence of an intermediate orchestra open to all in Peckham. The orchestra is free to join. The concerts are free to attend. PCO’s first rehearsal was in October 2013 and we have been performing regularly since then to large and generous audiences always at our home Peckham Liberal Club. My experience as a musician and my artistic practice fuel my passion for classical music, particularly orchestral playing. The benefits are infinite. Playing as part as an orchestra enables individuals (confident, highly accomplished or not) to make possible what is (or can seem) impossible alone: to create music as part of a collective should be an option for everyone. Peckham did not previously have an ensemble of this sort. 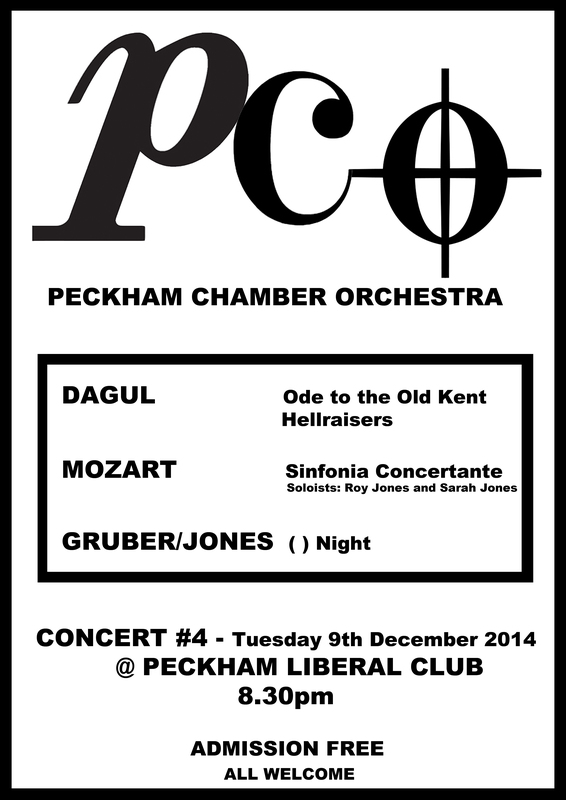 I want PCO to offer access to classical music for all, both players and spectators. Please contact me if you are interested in joining.